Welcome to the DEC Freshwater Fisheries Insider. 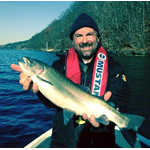 The Insider is a quarterly newsletter designed to provide New York anglers with up to date information on fishing in New York State and what the DEC Bureau of Fisheries is doing to improve New York’s fisheries. 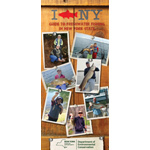 Anglers should be excited to learn that DEC has updated this popular guide/map that provides in depth fishing, boating and local information for 158 streams and rivers and 320 lakes, ponds and reservoirs from Montauk to Buffalo. The waters included in the publication were selected by DEC staff as the best fishing locations in New York State. Contact DEC for a free copy. 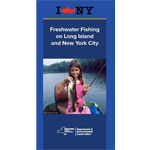 This new guide/map provides anglers in New York City and on Long Island all they need to know to fish in the downstate region. Copies can be obtained at DEC Regional Offices in Stony Brook and Long Island City, at local License Issuing Agents, or by contacting DEC.
During netting operations on Chautauqua Lake this past spring, DEC biologists handled the largest number of muskies since the netting program began in 1978. Of the 472 fish captured, 95 were over the 40 inch minimum size limit and 2 were over 50 inches in length. 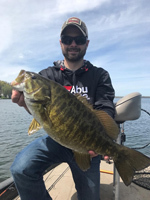 Given the abundance of trophy muskies in the lake, its ranking as one of the top 100 bass waters in the country and the resurgence of the walleye fishery, Chautauqua Lake can't be beat for those seeking a memorable warmwater fishing experience. To learn more, contact the DEC Region 9 office. In May, Bureau of Fisheries staff traveled to Lake St. Pierre in Quebec in search of sauger for potential use in the Lake Champlain sauger restoration program. 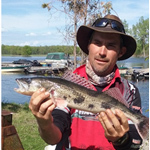 With help from the Quebec Ministry of Forests, Wildlife and Parks and local guide Alec Delage, 60 sauger were collected. The fish were sent to the United States Fish and Wildlife Service Fish Health Center in Lamar, Pennsylvania to check for the occurrence of diseases. Fin clips were also taken to assess the genetic suitability of this population for the Lake Champlain restoration effort. The Bureau will use all of this information to develop the most appropriate restoration plan. See the Sauger Conservation Management Plan for more information. 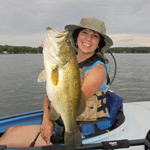 The eastern Finger Lakes provide outstanding fishing opportunities for central New York anglers. To help effectively manage the fisheries in Cayuga, Owasco, Skaneateles and Otisco Lakes, DEC recruits anglers to keep track of their fishing activities on these waters. Summaries of the results of the 2016 Angler Diary Program are now available. DEC will be conducting an intensive survey of licensed anglers who fished New York waters in 2017. This survey will be conducted primarily on-line and participants with valid e-mail addresses will be selected at random from our sporting license database. 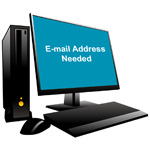 If you have not already provided your e-mail address when you purchased your license and want to be considered for the survey, please e-mail DEC your name, fishing license ID # and e-mail address. The new boat launch at Meacham Lake in Franklin County is complete and ready for use by boaters and anglers. Funded by Governor Cuomo’s NY Open for Fishing and Hunting Initiative, the new launch is located within the Meacham Lake Campground and provides a much better trailer launching capability than the former shallow launch. The old launch will remain open as a hand launch and for ice fishing access. Bassmaster Magazine's annual list of the Top 100 Bass Waters in the nation was unveiled recently and 6 waters in New York (Lake Erie, St. Lawrence River/Thousand Islands, Lake Champlain, Cayuga Lake, Oneida Lake and Chautauqua Lake) were included on the national list. Lake Erie in the Buffalo area and the St. Lawrence River/Thousand Islands were ranked in the top 12.